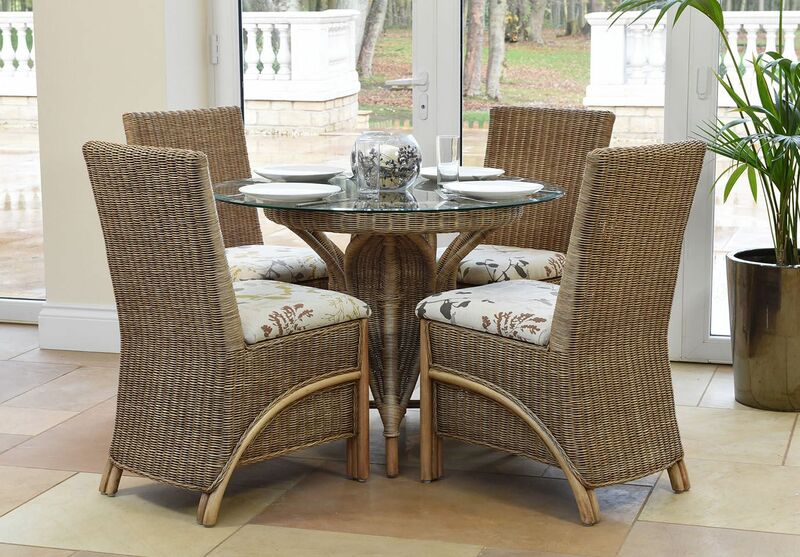 These dining sets complement perfectly our top selling Waterford suite. 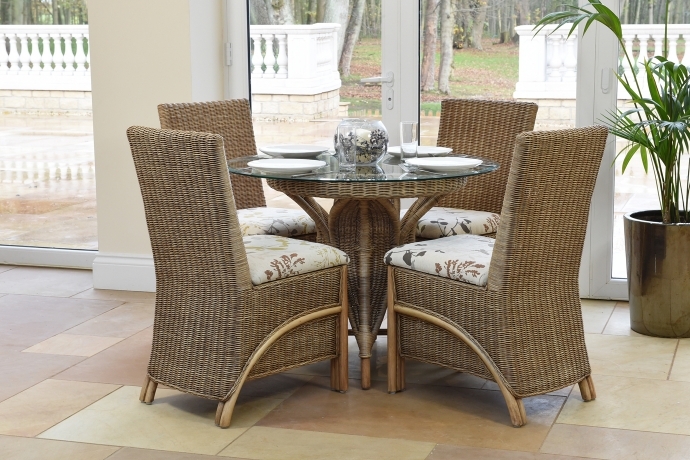 Added for the 2014 range, is a much requested occasional dining set. Again the intricately woven base design supports an 8mm bevelled and polished safety glass top, which is available in 2 sizes. The 85cm diameter top for 2 people dining or the 100cm top which adequately seats 4. The choice of Waterford carver chair or dining chair for any of these tables is entirely yours.